As some of you may know, before we lived together in London, we begun our relationship in a somewhat long distance status – I quote and say somewhat to this ‘long distance’ because to some, it may not be long distance and we know it not like we’re on other sides of the world, but nevertheless in different cities. James originally from Chester, moved to Sheffield for university and I, Jessica born and raised in London – that is a total distance of (approximately) 166 miles from London to Sheffield, and just a little bit more to Chester, although both journeys to and from are just over 2 hours one way, and we would only see each other for the weekend every other week – I don’t know about you, but it’s a lot harder than you think. We’re not claiming to be any type of relationship gurus, this is just what we believed that worked for us – some may just be complete cliches, as well as personal choices. Communication is the most important aspect in any relationship, especially long distance. James and I would constantly be texting throughout the day, within reason of knowing each other’s schedule. Every morning we’ll send send each other a “Good morning” text, followed by messages in between, letting each know what’s going on to avoid that horrible feeling of the unknown. Before the day ends, we would give another call, FaceTime or back back in the day when we used to Skype because James didn’t have an iPhone, update each other with our days and sleep in the phone, it became a habit and it’s actually very comforting to know they’re on the other end. Even when we don’t have much to say, the regular messages and updates, helps us feel involved with each other’s day. To avoid all this chaos you have to trust your partner is doing exactly what they say they’re doing and vice versa. Trust and communication are just as equally important. This is so important. They you can’t expect someone to love you if you don’t love yourself first. This of course doesn’t just apply to long distance relationships, but in all relationships. You will have to occupy your time when you’re away from your other half because time can be so slow! Some people are so dependent on their partner to fill their spare time and once you realize that person is miles away, you’ll get bored. Make plans with your friends, go out for a drink, dinner or just work like I do, which I still do anyway, as well as having your alone time at home in a book or watching – or whatever helps you fill your time. If you start to have a lot of time on your hands you will find yourself always wanting to talk to your partner and they might find that annoying, especially if their busy filling their own time. Call me crazy, but I am OCD when it comes to planning, it is in my nature, in my blood – so this was something that didn’t struggle with us. As mentioned previously, we arranged to see each other every two weeks, purely because it sounded like a bearable amount of time away from each other, as well as the minor elements in between, like travel expenses. You could only imagine how much we’ve spent on travel costs, although we did have many methods in saving money, which we did a post here, and one which includes booking 12 weeks in advance, that’s was a big changer. 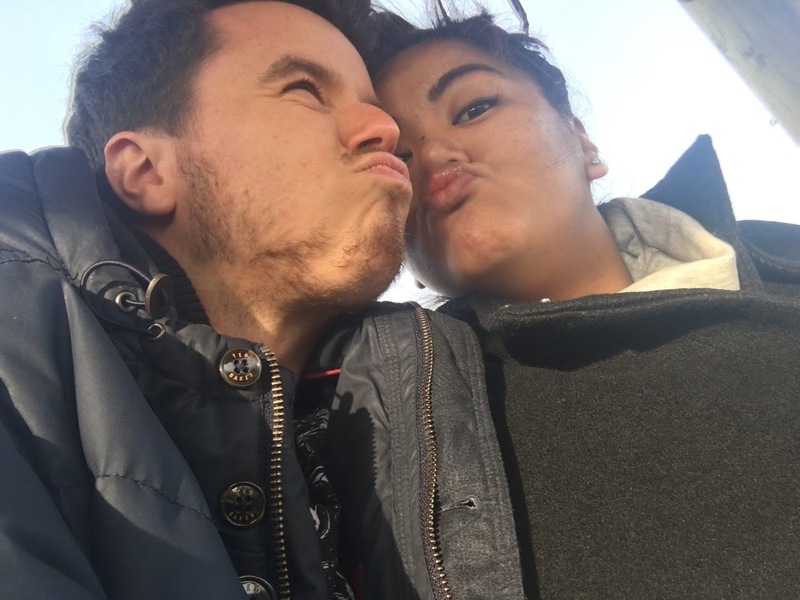 As well as to keep up with each other’s schedule when not together, but also to balance and help organise when we could see each other and what we will be doing, I researched for a couples app, which we still use today (for blogging and YouTube scheduling, as well as personal events) called ‘Avocado’, life changing and super useful! Due to only be able to see each other every other weekend, we had to make personal sacrifices to be with each other – friends and families birthday celebrations and let’s face it, everything pretty much happens on a weekend but in the most none negative way, we had to sacrifice that time with others to be together – we alternated and compromised with dates, but some things are just enviable, especially when things are planned last minute and these train tickets had already been bought 3 months prior. Long distance relationships require extra attention, extra money, just extra everything. It’s going to be challenging at times, but overcoming these challenges will make your relationship stronger! Now we’re living together and we won’t lie and say we don’t have our rough days, but who doesn’t – true love doesn’t dies. It’s amazing what you’ll do for the person you love, and no matter the distance or circumstance, if you’re meant to be together, you’ll be together. Are any of you in a long distance relationship?